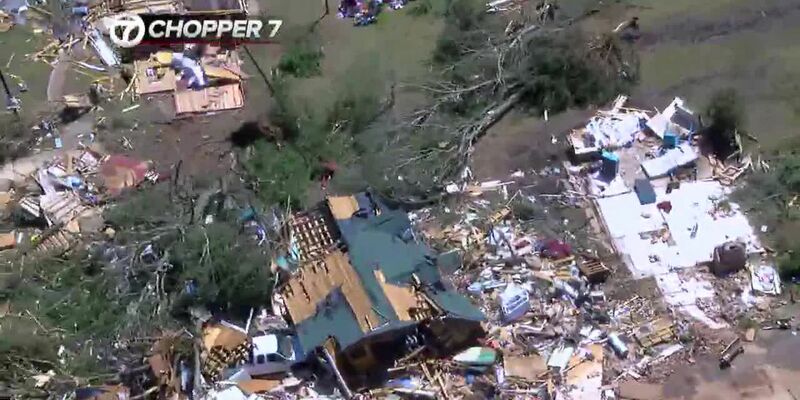 ALTO, TX (KLTV) - An East Texas woman who survived the tornadoes that hit the Alto area said she is lucky to be alive. The woman told East Texas News that she and her husband were driving in an SUV on U.S. Highway 69 when the first tornado hit the Alto area. She said they pulled over to the side of the road and dove into the floorboard of their vehicle. The woman said her husband jumped on top of her to protect her. The woman also said that when they made it home to assess the storm damage, she saw things that she only thought were real on movies. We’ll have more on her story and other people who survived the storm later today.